Conference attendees will have the opportunity to buy books on site, and items featuring the Books for the Beast logo. We will be happy to accept cash, checks and credit cards. There will be times to purchase books by our speakers throughout the day, with sales by The Ivy Bookshop. Take home great memories of the 2017 Books for the Beast Conference with these special “Beast” items! All proceeds support conference activities. 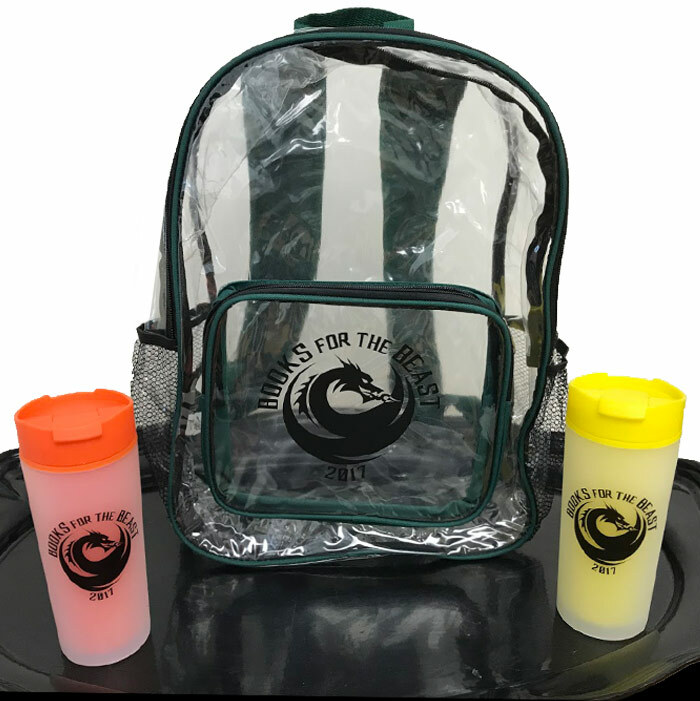 The clear backpack will help you carry all the wonderful books you can’t wait to read after hearing our speakers and book discussions. 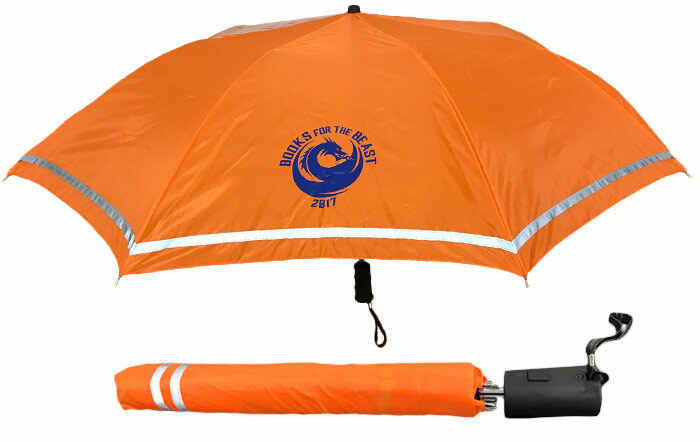 The vivid umbrella with our bold logo will keep you dry!